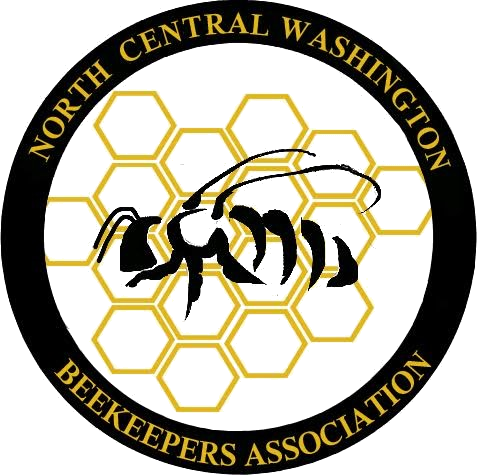 The name of this organization shall be North Central Washington Beekeepers Association (herein “NCWBA” or “Association”). This Association is not for the profit of any individual member. It is reserved that this Association may be incorporated within the State of Washington and may apply for its Internal Revenue Service designation as a nonprofit organization. To cooperate with the Washington State University Extension Service, other universities, the Washington State Department of Agriculture, and the Washington State Beekeepers Association to disseminate the latest information about beekeeping. Membership in NCWBA is open to all persons from the community at large who are interested in bees and beekeeping, upon payment of annual dues. The membership year shall be from January 1 through December 31. New members joining after October 1 shall be considered paid-up members for the following calendar year. The members shall establish the amount of the annual dues through a majority vote of members present at the Annual Meeting. Ex officio members may include the State Entomologist, Director of the Washington State Department of Agriculture, Chief Apiary Inspector, and the County Agricultural Extension Agent. Ex officio members will pay no dues and have no voting privileges. Any member may be terminated from NCWBA for inappropriate, illegal, unethical, or unrepresentative behavior by a two-thirds majority vote of the members of the Association after open discussion. The officers shall conduct the business affairs of NCWBA. No officer or member of NCWBA shall receive remuneration, directly or indirectly, for services rendered in any capacity to the Association, unless authorized after discussion by affirmative vote of a simple majority of all present members of NCWBA. Any conflict of interest shall be discussed and resolved in front of the membership of the Association. The elected officers of NCWBA shall be a President, Vice President, Secretary, and Treasurer. Officers will be elected by a majority vote of NCW members present at the Annual Meeting. Any two officers’ positions may be combined. Officers shall serve for one year and may be elected to serve no more than three successive terms in any one position, after which officers may be reelected after retirement of one year. There is no term limit for the position of Treasurer. Officers shall attend more than one half of all regular Association meetings, or they may be removed by action of the Board. The President shall (1) preside over all Association meetings, (2) call special meetings as deemed fit, and (3) perform all acts and duties required of an executive and presiding officer, including the appointment of any committees required for the proper function of the Association. The Vice President shall (1) assume the duties of the President in his/her absence and (2) assist the President as necessary. The Secretary shall (1) keep a permanent record of all official meetings of NCWBA, (2) report official Association activities to the membership in a complete and timely manner, and (3) perform other duties as requested by the Association. The Treasurer shall (1) receive and disburse all funds honestly and efficiently, (2) maintain accurate records of the Association’s checking account, and (3) keep complete and accurate account of all financial transactions after appropriate approval by the officers/Association and keep records of paid members, and (4) deliver complete documentation of all financial transactions to the Treasurer’s successor in office. Meetings of the general membership shall be held at an established place and time no less than quarterly. The Association shall invite the general public to these meetings, and it shall be the responsibility of the officers or their delegates to ensure appropriate notice to the public so that they may attend. Conduct other business as deemed appropriate. Advise members that they may submit a nomination to any officer in person or via email or phone. Nominations must be seconded no later than the beginning of the election at the Annual Meeting. A quorum is not required at any regular or annual meeting of NCWBA. Decisions will be made by a simple majority vote of members present at any meeting. There will be no proxies for those who are not present. Business will be conducted following Robert’s Rules of Order. An audit committee shall be selected by the officers. The audit committee shall annually perform an internal audit before the Annual meeting, and shall present its report to the membership at large during the Annual meeting. No officer, committee member, or any other member of this Association shall incur indebtedness on behalf of NCWBA except as authorized by the Association or the Board of Directors. NCWBA dues and monies in excess of immediate operating expenses (i.e., to be used within 30 days) shall be placed into a bank account. If NCWBA ceases to exist, funds and assets of record shall be disbursed to one or several non-profit organizations with the objective and intent that these funds and assets be used for the benefit of beekeeping or pollinator research, education, or outreach. The destination of funds shall be decided by majority vote of the officers of the club prior to disbandment of the organization. The president shall appoint such committees, task forces and/or agents as may be necessary and proper for the conduct of the affairs of NCWBA. The President shall elect to serve as, or shall appoint, a Public Information Officer who will respond to inquiries from the public and be available to the media to respond to questions. The bylaws may be altered, amended, added to or repealed by a two-thirds vote of the members present at any meeting, provided the text of the changes has been made available to and announced to members at least 60 days before the vote. Adopted January 15th, 2017 at the Annual meeting held in Wenatchee, Washington.